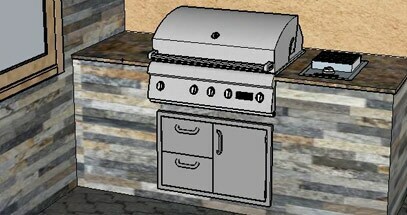 Our free 3D design services (a $300 value) will help you plan and envision an outdoor kitchen customized to fit your space. After approving the final sketch, your design expert can assist in placing the order for your selected outdoor kitchen appliances, fixtures and furniture. 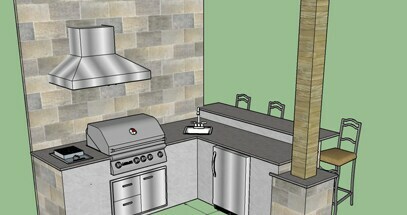 If you’re working with a contractor, give them our 3D sketch to confirm that your space can fit the design. The process is easy! Click the "Start My Free 3D Sketch" button to send us your information. 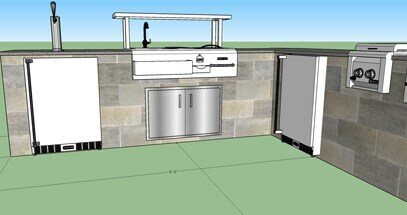 Note in the comment section that you’re ready to begin your free 3D outdoor kitchen design. 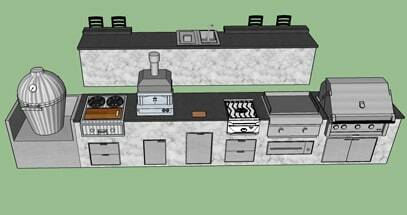 Our design experts will contact you for details about your space, dimensions and product specifications. Within 3 to 5 business days you will receive an initial, customized draft that can be revised twice. Each revision will take an additional 2-3 business days. Please keep in mind that these are to-scale conceptual renderings and are not intended to be used as an architectural or mechanical blueprint. 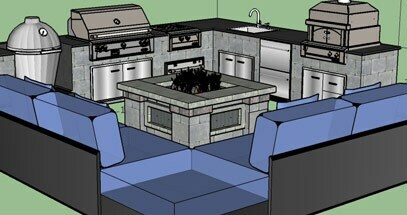 Check out some of our top designs below created for real BBQGuys customers by our expert outdoor kitchen designers. 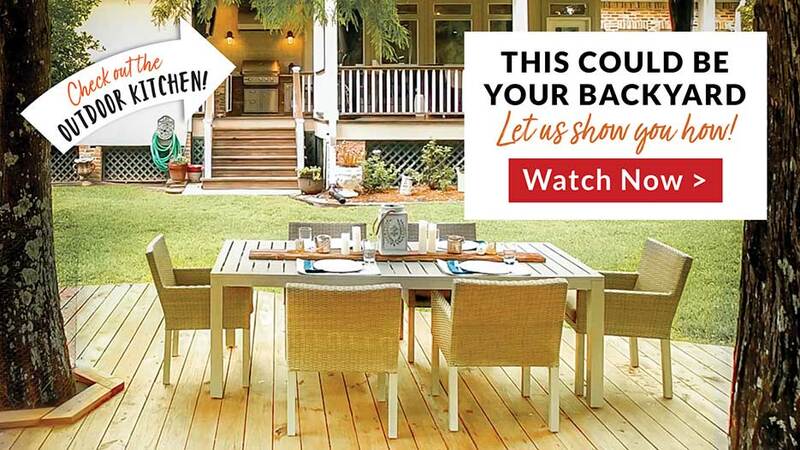 Whether you have a small space, or room for the ultimate outdoor kitchen, our design experts can help turn your dream into a reality. Looking for more inspiration and planning information? 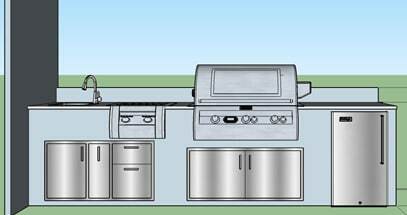 We recommend starting with these helpful links: Outdoor Kitchen Plans & Designs or our Printable Outdoor Kitchen Checklist.